A flurry of emails later, we have an updated WAL gallery of projects to share – look at all the glorious creativity with wool that has happened this WOVEMBER… hurrah! We will announce the winners soon. HO-HO hat knitted from Jamieson’s Spindrift and fulled; Retro Norwegian Hat by Tanis Gray is made from vintage 100% wool; Hat and mittens made from vintage 100% wool. I started keeping Leicester longwool sheep last year due to them being such a rare UK breed. They are such fantastic sheep, each brimming with their own personality. And my first shearing – This was done by a young man in his final year of agricultural college – a fantastic chap George who really knows his stuff and coped very well with my girls (who are all rather large)! And then weaving it onto a pegloom to make a rug. Photos of sheep and progress enclosed. Hope to move on to trying felting and spinning when the rug is finished. Made with 100% Icelandic wool. 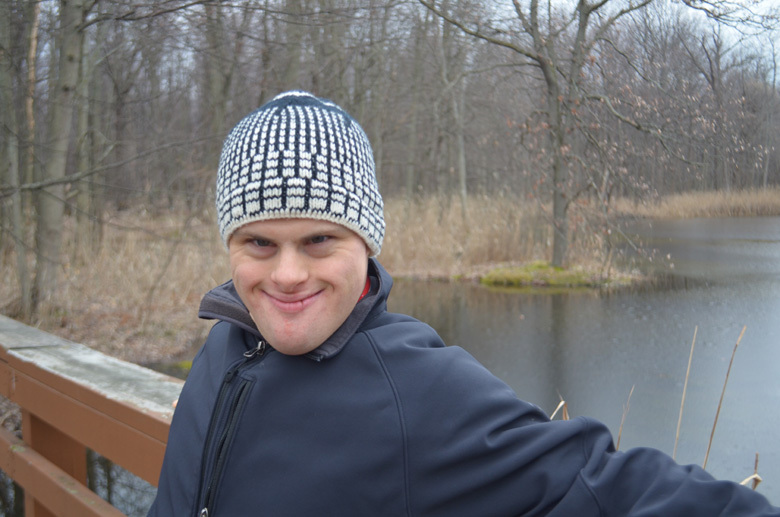 I felt that I learned a great deal with this project, and thoroughly enjoyed it. 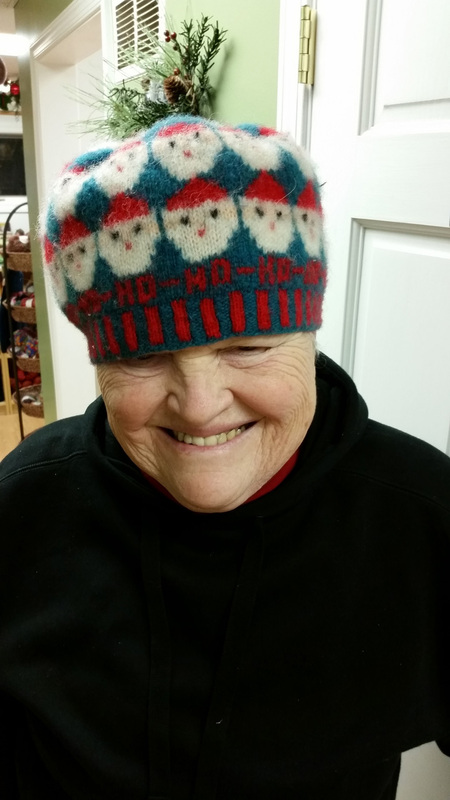 This year for Wovember 2014, I used up some Foula Wool from a Kate Davies “Tea Jenny” kit to make myself a hat. 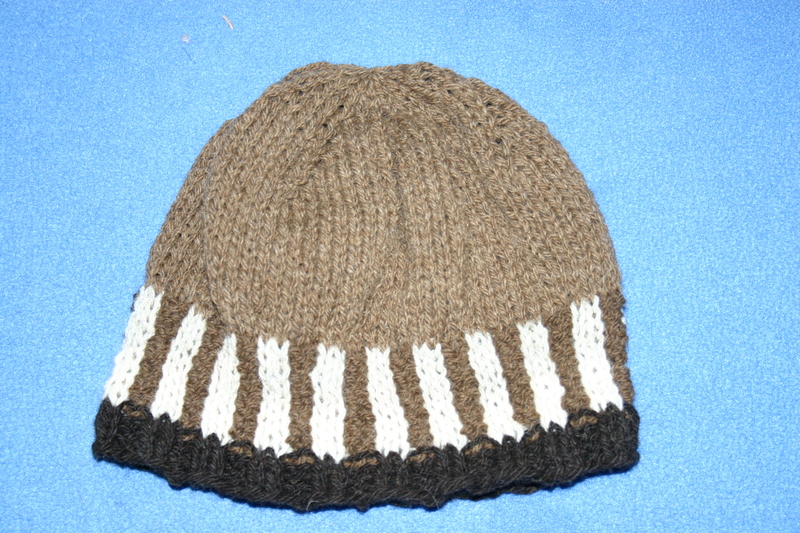 This was my first try at a corrugated ribbing, and I found that I loved doing it. 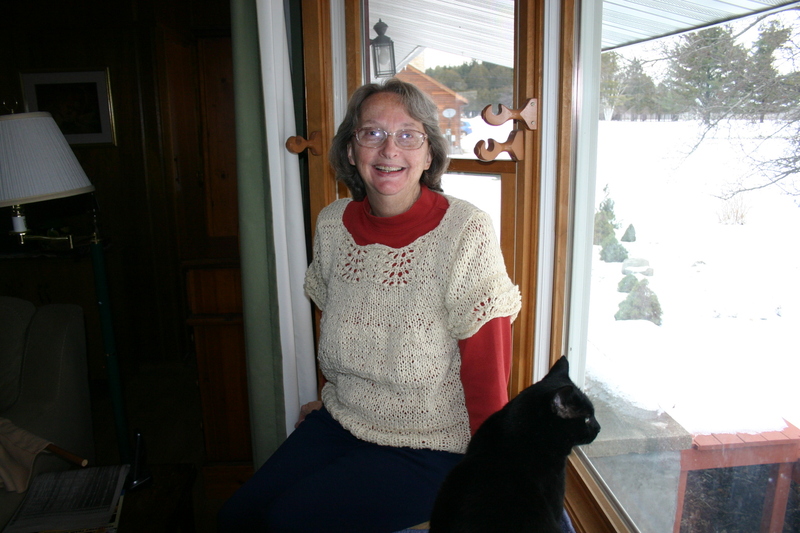 This tunic is made with artisan spun New Zealand wool that I found on eBay a few years ago. The pattern for this tee is my own. I can’t seem to stop knitting the feather & fans pattern. It goes well with any kind of yarn from lace to the bulkiest. The tunic took me just 4 days to knit up. I still need to wash and block it, but I’m happy with how it turned out. 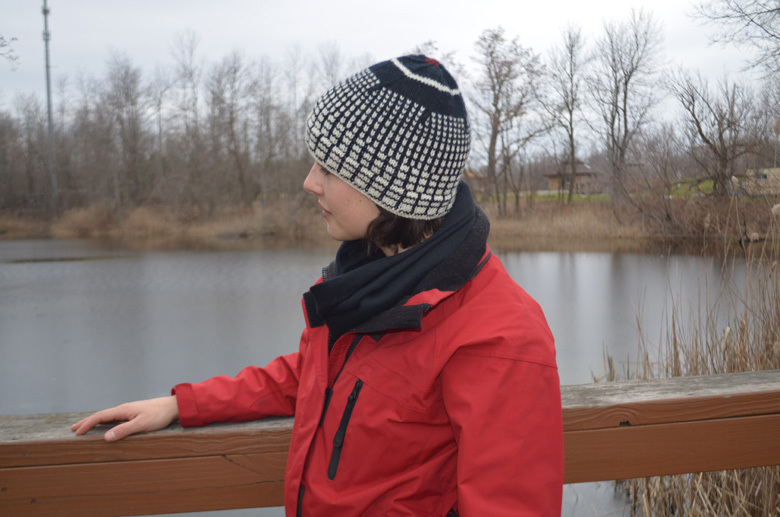 I designed this Loon hat last year using Quince and Co American wool, and am looking forward to knitting several more. 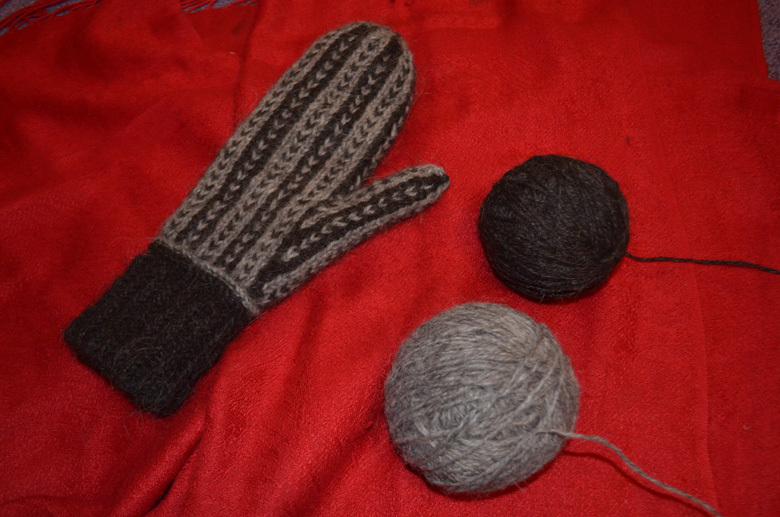 This the first half of a pair of mittens that I am making. 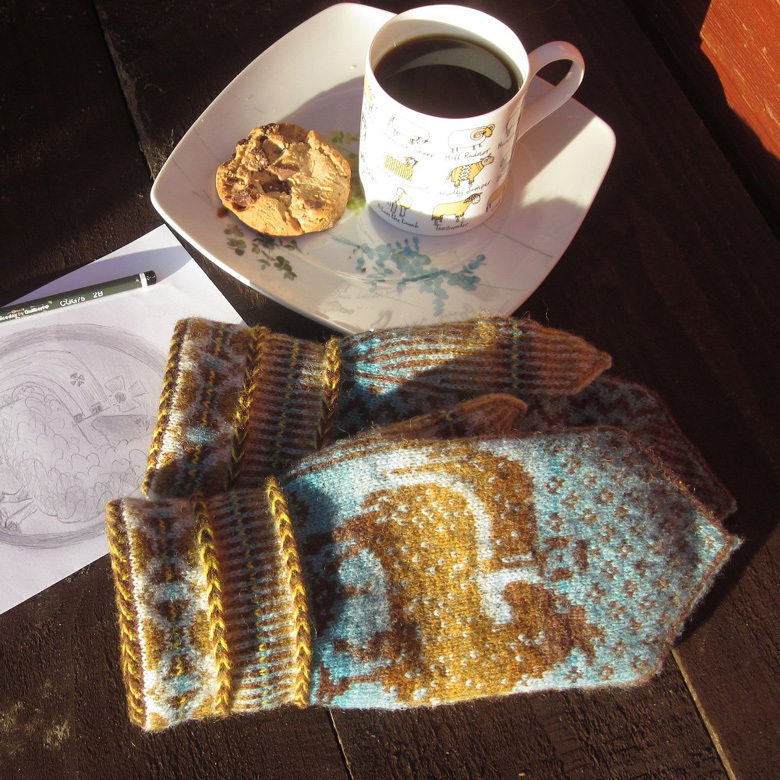 The yarn in this mitten is from Icelandic sheep wool raised in Denmark. I bought the yarn directly from the farmer at a festival in Roskilde, Denmark in 2013. I also got to meet a few members of the flock! I associate this wool with my memories of an especially wonderful day, and am exciting about wearing my mittens this winter. More information is on my Ravelry Project page (http://www.ravelry.com/projects/ErinJoelle/viking-mittens). Inside Castle Fraser (Aberdeenshire, Scotland) is a little room, with a woodcarving of a standard-bearer sheep in a recess on the wall. Of French origins, the Fraser family descends from continental settlers, as part of the Norman infiltration in the 12th century. The Scottish standard-bearer sheep is strangely similar to the emblem of a large city in Normandy, France. These cosy mittens link both sheep, as they face each other and proudly stand on the back of the hand. Stranded throughout, with a thin knitted lining, The Woodcarving mittens are worked with Shetland wool, as a nod to the French standard-bearer sheep, symbol of the guild of drapers and woollen cloth traders. I have nearly finished making a rug from a Blue Texel fleece and I shall call it Dappled Thing. 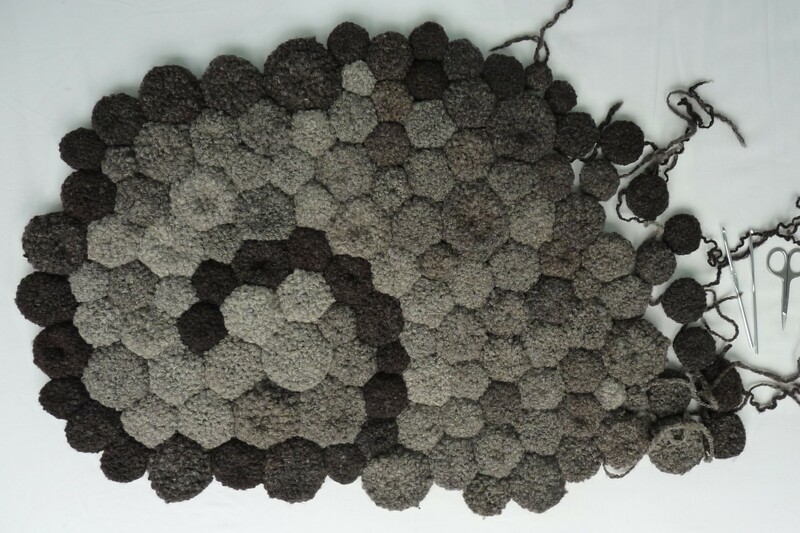 This has been a huge pleasure of headlong spinning and never mind the lumps, yarn fatter or thinner as the mood of the evening took me; crocheted to go with the flow of a skein, it holds my glory in a landscape plotted and pieced – for anyone else, it’s a bathmat. Hand spun Shetland wool knit in to squares to make blanket. 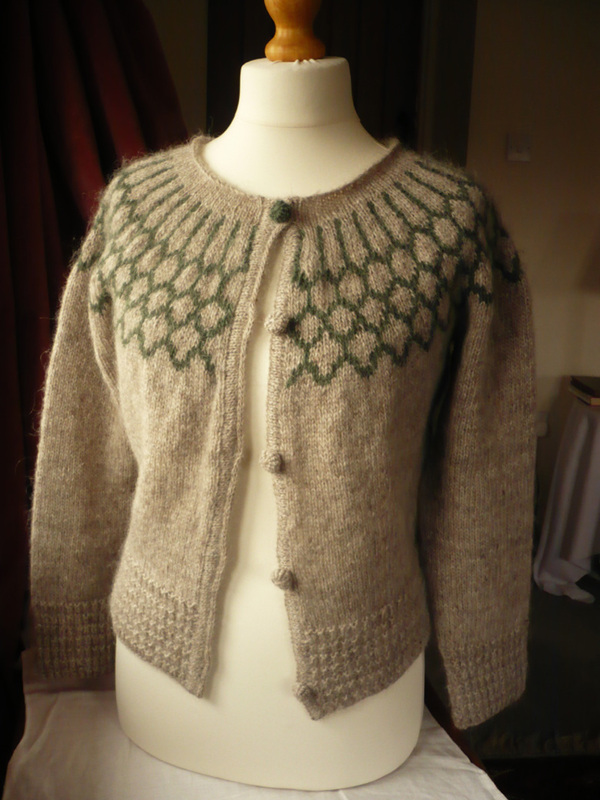 Using natural colours of Shetland wool. Great experience as only started spinning in February.